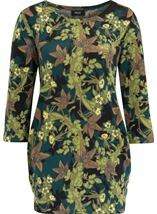 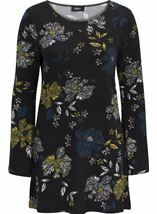 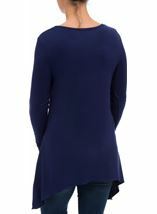 Team this long sleeve dipped hem jersey tunic with leggings or skinny jeans for casual style. 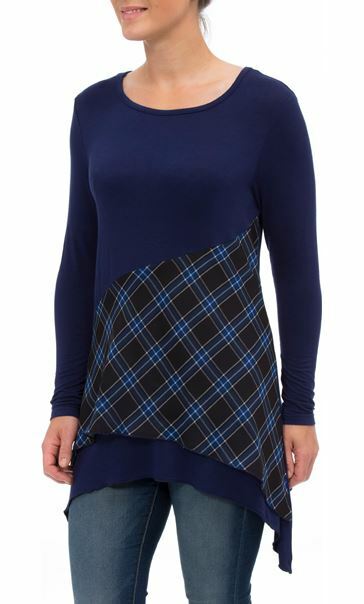 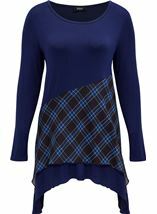 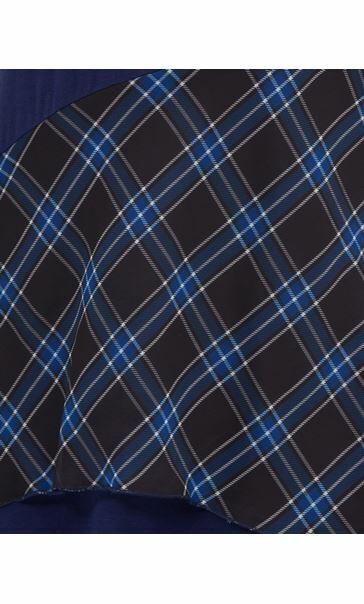 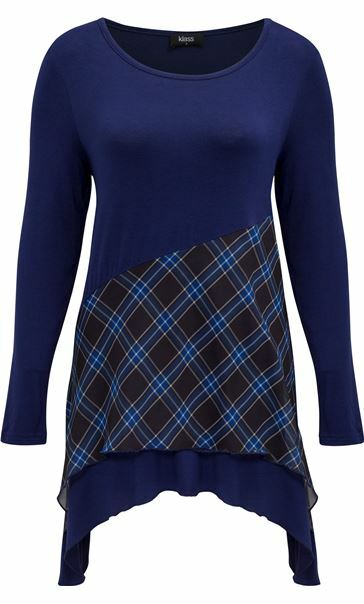 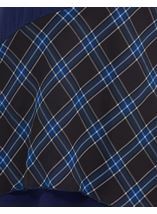 Featuring a round neckline and finished with a black and blue checked layer to the front that adds interest. 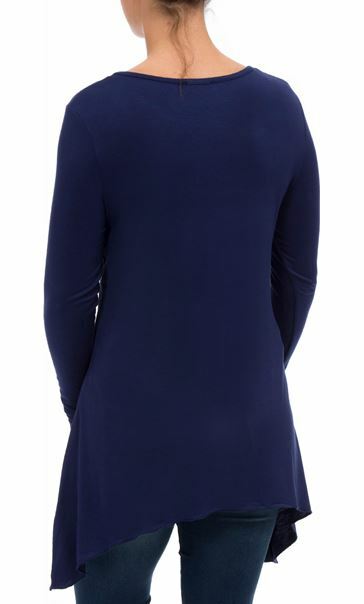 Back length 82cms. 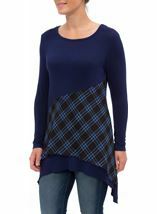 Good fit, nice check overlay and generally really liked this top. 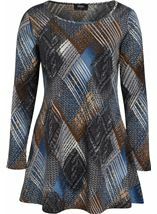 Got it in the sale too so even better.